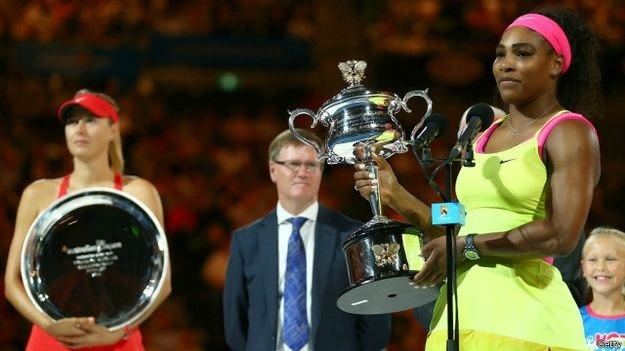 Serena Williams earned a 19th grand slam after beating Maria Sharapova in the final of the Australian Open 2015 in Melbourne, Saturday (01/31), 6-3 and 7-6. Serena Williams's 33-year-old succeed to get a grand slam title 19 times surpassed the record of Martina Navratilova and Chris Evert. With this victory, Serena has defeated Maria Sharapova in succession 16 times since 2004 and make her won the Australian Open for six times. Serene Williams takes about one hour 51 minutes to beat Sharapova. In the first set, Serena Williams gets a tight resistance and ended up with 6-3 to Williams within 47 minutes. And the next two games ended a draw, with the score 6-6 makes this game is determined by the tie-break. Serena accurate serve and for her to win this match with a thin score 7-6 final score. Being on top of Williams is a German tennis player, Steffi Graff, who recorded 22 degrees. Williams won the Australian Open in 2015 by relying on the strength of her serve. In two sets against Maria Sharapova, he struck 18 Service, 3 in the first set and 15 in the second set. in the first game of the second set one of her serve reach speeds of 203 kilometers per hour. Servicing Williams amendapatkan 84 percent success from the first serve, while Sharapova recorded only 65 percent. 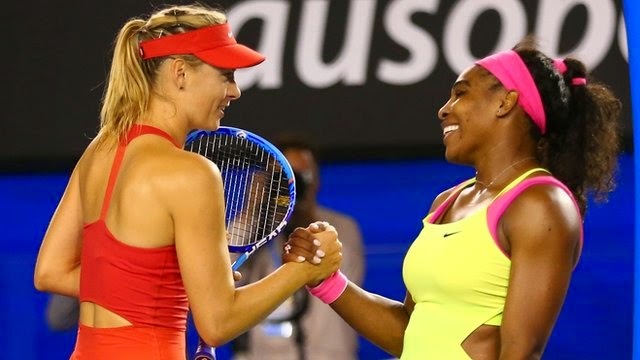 Maria Sharapova revealed that he still wants to beat Serena Williams. Although, recently suffered a defeat in 16th in Ausralia Open.